I penned a blog article - Top ten tips for entrepreneurs - back in 2012 as part of our celebrations for Ayrmer Software's tenth anniversary. Now, having launched The Childcare on-line Booking (CoB) system in December 2015, we're just over three year in and wanted to share some of our experiences. We initially developed the forerunner to CoB back in 2011 as a bespoke solution for Fun in School Holidays, a privately run childcare provider that worked with several local primary schools, here in South Devon. We went on to develop a number of turn-key solutions for schools and childcare providers across the UK and as a result received enquireies from childcare providers across the UK. In the summer of 2015, I decided that we needed to provide an off the shelf solution for childcare provider and drop the entry price, to make it widely available to childcare providers that work with ever decreasing budgets. Our Senior Management Team (SMT) sat down and planned how we could take the bet of the turn-key solutions and package it up as a product and came up with CoB. We had to make compromises and also get our head around providing a "product" as opposed to a "service" (as a software development studio). So what our my top ten tips? I stand by what I said in my original article about planning, it enables you to react to when things don't unfold as expected. A great example is over the last 6 months; we raised capital to fund a massive injection of resources after changing our business model. What caught me out was the speed at which things happened and without planning this would have been easy to miss! This goes hand-in-glove with planning and I cannot put enough emphasis on it! You can have the best product in the world, but if the cash runs out, it doesn't matter. This is why, when we changed the business model we made it so that childcare providers should always have received their childcare fees before they have to pay their transaction fees. You are only as good as the team around you and we've made some huge changes over the last three years, in fact the only remaining member of the team is me, as we had to jettison some people that were disruptive and didn't back the concept of providing the best childcare booking system on the marketplace! I remember having to argue with one member of the team, as she said it wasn't fair to charge so much for CoB. She had done the maths and worked out that if we sold one hundred licenses we would have made a very good profit. But what she failed to understand was that in business there are no guarantees and I was investing thousands of pounds in launching CoB. I am delighted to say that as we grow the team again, I've got a great team of passionate staff that reflect our core belief: making the other person more important that the other person. Tracey and Nikki - who run the technical support are a credit to the business and Simon - who has worked with me for over ten years - provides the technical knowledge and experience that helped us achieve Cyber Essentials Plus and IASME earlier this year! We are looking to grow the team through 2019 to support the 350+ settings and the 350,000+ parents that use CoB on a daily basis! We rely on our systems to manage the growth and couldn't manage the huge growth without them, but more importantly, I have come to realise it's about having the right processes and procedures on place. Everything from our security policies we updated as part of our Cyber Essentials Plus to managing new schools and clubs signing up to CoB. When you are busy, you need them so that you do not miss critical steps, ensuring our clients can rest assured that we have their data protection and cyber security sorted! I have long said I am not a salesman, but the one thing I have learned along the way is to trust your gut instincts as they will often be right and save you hours in wasted time. As Marcus Cauchi always says, "the buyer always lies!" I wouldn't put it quite a strong as that, but prospective clients often mislead you when initially engaging, after avoiding calls and not responding to emails etc., This is all part of business and I am not complaining, but respect and integrity go a long way, which is why we go for the "no", but put your first! I could talk about this topic for hours, after running my own business and help others for 17 years! If I made one mistake with CoB is was the marketing collateral, it just wasn't good enough! We have completely over hauled the marketing over the last six months, to give it a fresher more colorful feel and it has made a huge difference. Put the time in to your marketing, it is time well spent and don't cheap skate on marketing budgets! We've enaged Optix - a locally based Google partner - that has done a great job of managing our pay-per-click campaign for The Childcare online Booking System. Ask any project manager and they will tell you this is the elephant in the room. Project managing the launch of CoB was a nightmare as I had several stakeholders (both within the business and externally) that had conflicting ideas. As a small business I had assigned the resources to get the turn-key solution into a product offering as quickly as possible, whilst not compromising on the product. We over came that hurdle, but the last six months have proved just as difficult managing the growth within the business. We've launched more booking systems in the first 3 months of 2019 than we did, in the entire year of 2018. Managing the increased demand for sales, operations and technical support has been massive, whilst training the technical support staff, keeping development moving forward and maintaining of service to you, the client. We've had some hurdles thrown in for good measure with one of out development servers suffering a hardware failure, but were able to learn on the team and our processes and procedures. We have positioned ourselves as the booking system of choice that doesn't charge for licenses, technical support or set-ups. Yes, we charge transaction fees, after all we have to fund the support and development of CoB so that we can provide the best solution available for wrap around childcare providers. As a well established business we have a brand, but we've had to establish a new brand - all be it derived from Ayrmer Software's - for The Childcare online Booking (CoB) system. Brand is so much more than your logo, it's your business culture, it's the way you and your team engage with suppliers, clients and peers. I've encourage a culture of integrity with the business, but have also encouraged an environment of friendly cooperation within the team; nothing is ever too much! We're lucky to work within a sector that is filled with some amazing people that are as passionate about childcare as we are about software and our clients are a pleasure to work with, so it isn't hard (even when they ask for the impossible)! As I said in an earlier point, there have been days when I doubted myself and have been terrified! I have had sleepless nights about investing tens of thousands in CoB and worrying if the time and effort would all pay off, but I have been lucky enough to have my wife and long term, best friend at my side and she has kept me going when I might have given up. She is my persistence and has been an amazing support over the last three years! As many people have said, failure is just another road to success; you can't succeed if you don't try, so NEVER give up! 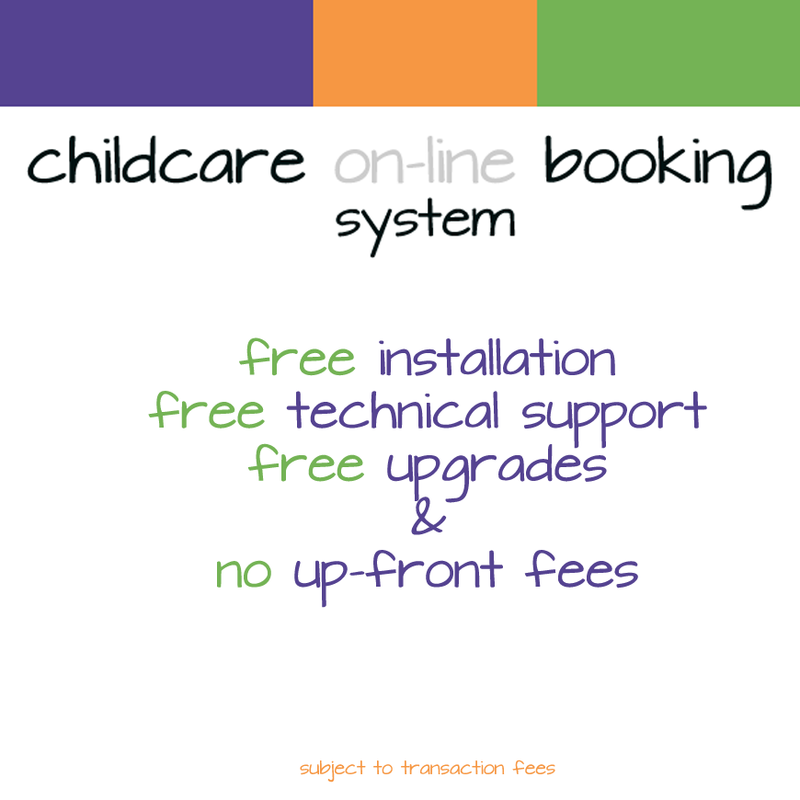 The challenges of launching The Childcare online Booking (CoB) system have been numerous and changing the mindset from a bespoke software studio to a product has been difficult at times. But, having a niche product makes it all worth while and is the best thing I have ever done. For many years I have challenged people when they have said I run a successful business, as it never felt like I did, but now I can genuinely say I do run a successful business and am loving it! Our passion to providing the best childcare booking system and reaching as many clubs and schools as possible, to make parents and childcare providers lives easier, giving them one less thing to worry about, in these chaotic times we live in!